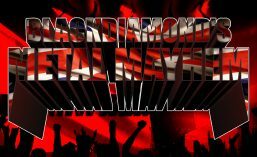 The last Blackdiamond’s Metal Mayhem of 2018 was on Tuesday 18th December, as always from 6PM GMT on http://www.totalrock.com. The show took a look at my choices for the Top 10 Albums of 2018, the full article listing them can be seen here. This entry was posted in Radio Shows and tagged Blackdiamond's Metal Mayhem, heavy metal, Top Ten Albums of 2018, TotalRock. Bookmark the permalink.